The sales cycle is a process — a series of steps that convince a person or a group of people to say yes on multiple occasions. In other words, this process is essentially multiple small sales that hopefully lead up to the one big sale at the end. These small steps might include getting a prospect to give you their contact information, utilizing that contact information to reach out, and then convincing them to work with you. However, the trouble for the CRE salesperson is that there is no commission for small successes within the sales process. Everything hinges on that big sale at the end. Speeding up these small sales, then, is key in growing a CRE business and creating more sales. Here are some ways to speed up the cycle. 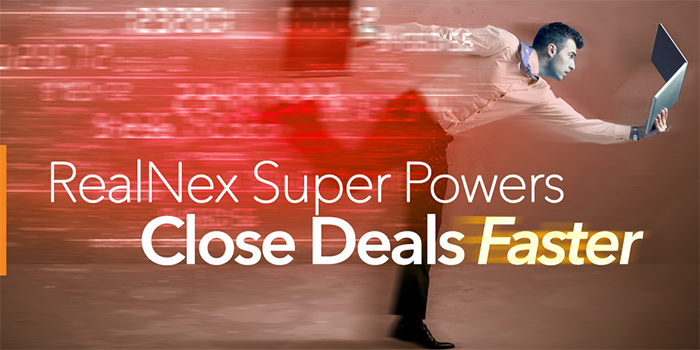 A customer relationship management tool like RealNex’s CORE is essential to speeding up the sales cycle. A CRM can help organize your clients and data in one place. When looking for a CRM, it is incredibly important to ensure that it offers mobile access. Your CRE business takes place within your market, and you want to be able to access or update data on-the-go. Utilizing a CRM can also help you prioritize clients, which helps you concentrate on those that have a higher likelihood of transacting now. Market knowledge is the second speedy trick-up-your-sleeve. Know what’s available for clients when they are looking for something specific. This can cut down on search time, which also circumvents the “too many options” slow-down. From the perspective of representing the seller or landlord, market knowledge means you can price properties more accurately within the market, which then leads to quicker sales and shorter time on the market. Selling a property or filling units can happen more quickly if you work your network correctly. First, grow your network to include individuals who have interest in your specialty — this will give you some immediate reach that matters. For CRE, networking with business owners, potential business owners or even other CRE brokers is key to getting meaningful contacts. Utilizing a CRM is one step to maintaining organization with your client data, but an integrated platform, like the RealNex Suite, accounts for all steps within deal management. Dedicated deal rooms, for example, track lead involvement and allow you to make documents available instantly. Set security levels for access, keep track of who has signed and who hasn’t, and make deals happen even when participants are geographically disparate. Closing deals faster means more money (and perhaps even more leisure time). Basically, from data collection, to prospecting, to marketing and negotiations — organization means the sales process moves more smoothly and accordingly, more quickly. Organization also helps to instill repeatable processes that will pay dividends for years to come. For more information on RealNex products, sign up for a demo or free trial today. Interested in a free, 30-day trial? Go to realnex.com from your mobile device and sign up for a trial AND the CORE app. No credit card or commitment required.